In his sermon yesterday morning in the chapel of Casa Santa Marta, Pope Francis stressed the need for Christians who are on the path of sanctification and not ‘halfway Christians.’ Pope Francis reflected on the first reading from the Letter to the Romans, which centred on the mystery of our redemption. Saint Paul, he said, explains redemption “with the logic of before and after: before Jesus and after Jesus.” Life before Christ is rubbish where as life after Christ is a new creation. “We are remade in Christ! That which Christ has done in us is a recreation: the blood of Christ has recreated us. 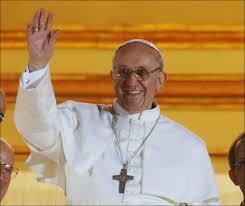 It is a second creation!” the Pope exclaimed.